Bonfires is a lovely story with mature characters and well-behaved teenagers. The best part is that everyone acted their age and the plot, even when a little fantastic, move forward following an interesting set of developments and real love and family relationships. This is not only a romance but a bit of a mystery with the added drama of small towns. We have several story lines running parallel and in normal Amy Lane fashion everyone in town, including the animals play an important part in the plot and the MCs’ love story. Everyday events, like breakfasts & homework, are well-mixed with Larx’s and Aaron’s developing relationship. They not only get to know each other but those around them before and after they met. Their pasts are as important as their present and how they want to shape their future. I did want to see more alone time between the main characters. They spent a lot of time just solving other people’s problems and dealing with their families. I wanted a bit of downtime for them to really have a chance to discover each other without interruptions or expectations. Overall, this is another hit by this author. It’s the proverbial big book of everything, but as always, it works. Nick J. Russo did an excellent job giving all the characters a unique voice. It was easy to get immersed in the story. The cover by Anne Cain shows one of the story’s main scene to perfection. It’s a bit different than traditional MM romances, but so it’s the book. This entry was posted in 5 star Rating, Audio Books, Books, Contemporary fiction, Dreamspinner Press, LGBTQ Audio Books, LGBTQ Book Reviews, M/M Book Reviews, M/M Contemporary Fiction, M/M Fiction, M/M Romance and tagged A Dreamspinner Press audiobook, A Lila Audiobook Review: Bonfires by Amy Lane and Nick J. Russo (Narrator), A Lila Highly Recommended Audiobook, author Amy Lane, Bonfires by Amy Lane and Nick J. Russo (Narrator), M/M contemporary Audiobook romance, Nick J. Russo (Narrator). Hanging the Stars is a beautiful second chance story. I have a soft spot for young couples that get an opportunity to reconnect and this story doesn’t disappoint. The connection between Angel and West still runs through them after a decade apart. What they had made a difference in the men they became and what they wanted for their future. The story starts strong and directly into the action. We get adrenaline filled scenes that set the path for the characters to see each other again. There are small coincidences that make their first encounter even more meaningful. Having them get together without trouble or misunderstandings worked for the story. Each main character has a very defined backstory that intertwines with the other. They have family and friends in common, but at the same time, they have a separate story that’s only theirs. And that’s what makes their story special. A lot is going on against them, but they are ready to face everything together. All the twist and turns are fast-paced and keep the reader trying to flip the pages faster. Well, in this case for the audio to hurry up. But this also is the reason I didn’t give the story a higher rating. It was easy to miss an important element with all the information coming our way. Overall, this is an interesting addition to the story. We get to see Lang, Deacon, and Zig again. Plus, I love Roman and his relationship with Angel. I hope the author give us more stories in this series because there are several characters with a lot of potential for love. Greg Tremblay did a good job giving life to the characters and making them unique. Especially the young ones. The cover by Reece Notley is nice but a bit generic. Plus, the model’s picture has been used in several stories recently. This entry was posted in Audio Books, Books, Contemporary fiction, Dreamspinner Press, LGBTQ Audio Books, LGBTQ Book Reviews, M/M Book Reviews, M/M Contemporary Fiction, M/M Fiction, M/M Romance, Uncategorized and tagged A Dreamspinner Press audiobook, A Lila Audiobook Review: Hanging The Stars (Half Moon Bay #2) by Rhys Ford and Greg Tremblay (Narrator), A Lila Recommended Audiobook, author Rhys Ford, Greg Tremblay (Narrator), Hanging The Stars (Half Moon Bay #2) by Rhys Ford and Greg Tremblay (Narrator), M/M contemporary Audiobook romance. I enjoyed this story and I thought it was a creative way to give us updates on all four of the couples in one story. The guys are on the road as the blurb says, but a lot the story is about Miki starting to work through things. Since Miki is my all time favorite from this series that was a great thing for me. The story follows the guys on their first tour and lot of things happen. It’s pretty fast paced and is filled with some serious moments and some more light-hearted ones. Even though the guys are on the road, their partners and other family members also make frequent appearances. Brigid and Donal steal every scene they’re in for me. I just adore them both. I don’t want to spoil the plot and say more about it but know that it is fast paced and entertaining. The four relationships are in various places and things are a little more challenging for two of the couples but overall they’re all doing well and it was really touching to see them work through their various issues. The end is not really a cliffhanger but definitely leaves you ready to get the next book as soon as possible. This book was narrated by Tristan James who has also narrated the previous other books in the series. This was my first time doing one of these books on audio and I enjoyed his narration a lot. There were a lot of characters in this but I was never confused as to which one was talking. There are also various accents from different countries and I thought he did those well too. I did struggle a bit with the beginning of each chapter as they recount a moment from the past or song lyrics. I prefer those when I’m reading the books. It works better for me when I can see them. It’s a small complaint and one that might be just an issue for me. Overall I really liked the narration and I thought the narrator did a really good job. Cover by Reese Notley: I like this cover a lot. It’s striking and the color really catches the eye, plus it goes with the book’s title. This entry was posted in Audio Books, Book Reviews, Books, Contemporary fiction, Dreamspinner Press, LGBTQ Audio Books, M/M Book Reviews, M/M Contemporary Fiction, M/M Fiction, M/M Romance and tagged A Dreamspinner Press audiobook, Absinthe of Malice (Sinners #5) by Rhys Ford and Tristan James (Narrator), An Ali Audiobook Review, An Ali Audiobook Review: Absinthe of Malice (Sinners #5) by Rhys Ford and Tristan James (Narrator), author Rhys Ford, M/M contemporary Audiobook romance, Narrator Tristan James. 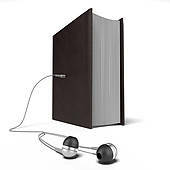 Heart Of The Race was my first official audiobook. I only listened to a couple while I run, but this one was “serious”. I chose this specific audio for different reasons: first of all it’s short, just a couple of hours, and so if you are basically a audiobook virgin like me it could be the perfect one for you, as it was to me. Then, sorry everyone, but it’s Mary Calmes we’re talking about. I’m her biggest fan. She wrote what can be consider probably my all time favorite m/m book, Frog (I read it in English and Italian too and my heart just missed a beat when it realized there’s the audio version too *sigh*). So of course I was going to pick this up. Least but not last the narrator, Greg Tremblay was recommended to me by a friend for another audio. I read the ebook a couple of years ago so I already knew what the story was about and I was confident I could fill up my “English listening gaps” with help from my memory. I don’t want to talk a lot about the story, once you read the blurb and know that this is written in perfect Mary’s style, you’re pretty much set for the ride. I prefer to linger a little on the narrator and his qualities, and what great ones they are! I admit I was a little scared at first, because I know I can read English pretty well but listening to it? Intimidating. In my opinion Greg made a great work in making the words understandable and to me it was really important. I liked his voice, listenable and always with the rigth tone, in every little detail, from the different voices (but believable) to the short hot moments. I felt it was true. I’m not sure if it’s normal or it was just me and the novelty of the first real time of an audiobook, but sometimes I found myself not only picturing Varro and Brian in my head, and whole drama they made for themselves, but the narrator too and his experience in recording. I don’t know, it was two times engaging. Of course I want to recommend this novellas by Mary Calmes but I want to highly recommend Greg Tremblay. I’m going to check out more about his works. Cover art by Catt Ford. No other cover could have been more fitting but the style is not my favorite. 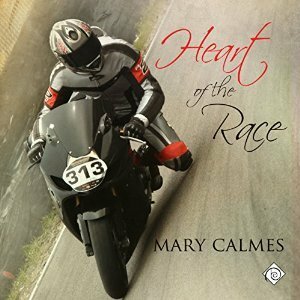 This entry was posted in Audio Books, Book Reviews, Books, Contemporary fiction, LGBTQ Audio Books and tagged A Stella Audiobook Recommendation, A Stella Audiobook Review, A Stella Audiobook Review: Heart of the Race by Mary Calmes, author Mary Calmes, Greg Tremblay (Narrator) (Audiobook), Heart of the Race by Mary Calmes audio book, M/M contemporary Audiobook romance, M/M Contemporary Audiobooks, narrator Greg Tremblay.